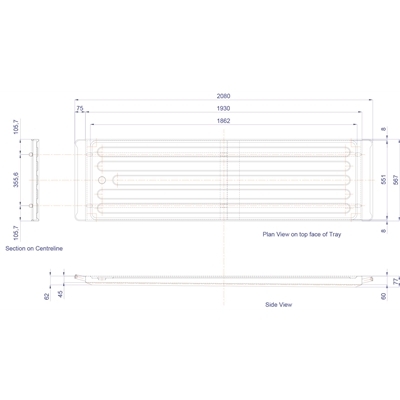 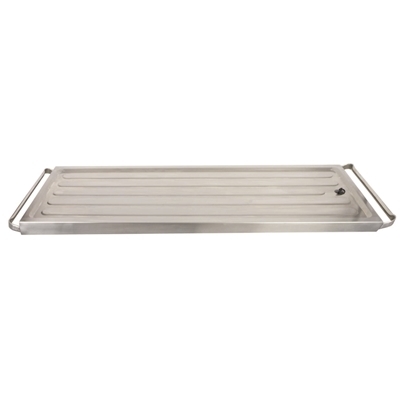 Description: Standard body tray, 304 stainless steel, 567mm wide with pressed containment area and ribs for improved drainage. 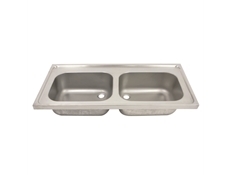 Designed with returned and welded side edges and central support tubes. 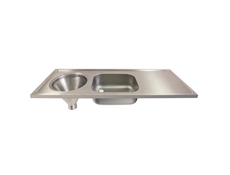 Full width carrying handles provided at both ends with rounded corners to prevent damage. 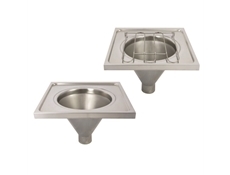 Manufactured completely from 304 grade Stainless Steel. 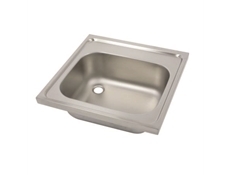 All also available in 316 Stainless Steel, with / without drain holes.